What Does Proverbs 17:6 Mean? Grandchildren are the crown of old men, And the glory of sons is their fathers. There is a dignity and grace that accompanies a godly man into his old age, and one of the joys of being in one's twilight years is to have grandchildren. To see one's children's children born into this world and have an opportunity to interact with them and instruct them in godly living. From eternity to eternity the Lord's faithful love is toward those that fear Him, and His righteousness is toward children's children. 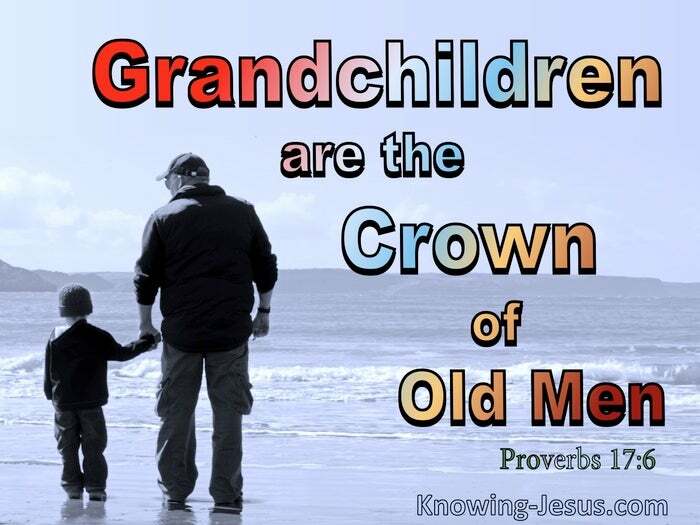 No surprise that grandchildren are described in this verse as being a coronet on the head of an old man. Children's children are the crown of old men and the glory of sons is their fathers. From the beginning God ordained that a man should leave his father and mother and cleave to his own wife, and they should become one flesh. God established the intimacy of family life, where father and mother bring up their sons and daughters in the fear and reverence of the Lord, and a godly man who fulfils his roles and responsibilities as God designed, becomes the praise and glory of his children and grandchildren. In Psalm 127 we read that sons are a heritage from the Lord and children are a reward. Sons and daughters born to a young couple are truly a gift from God, and those that are delivered during one's youth are described in Scripture as arrows in a warrior's hand. Happy is the man who has filled his quiver with them. The Bible reminds us that old men of God, who have the joy of sons and daughters, will never be put to shame when they speak with their enemies at the city gate. Their wives will be described as a fruitful vine in their homes, and their sons will be like young olive trees around their table. 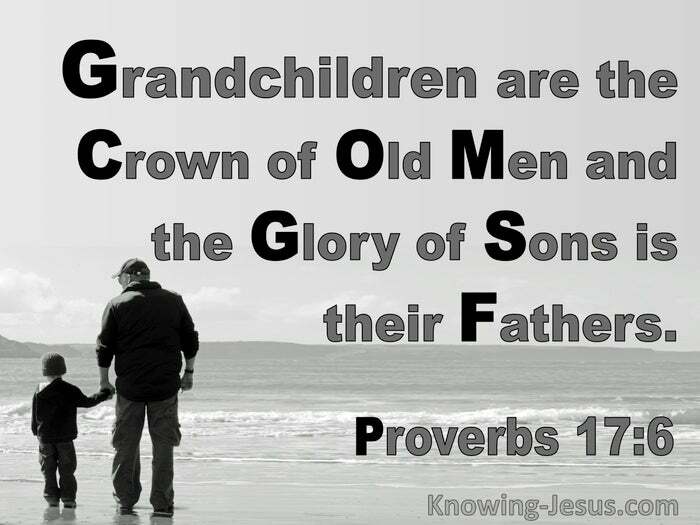 Not only are grandchildren 'the crown of an old man', but he is also 'the glory of his sons'. There is much in Scripture that describes the status and honour that is afforded older men. And there is much that instructs them in their duty towards their children and grandchildren. Older men are to take the responsibility to instruct their sons and daughters in the way to go. 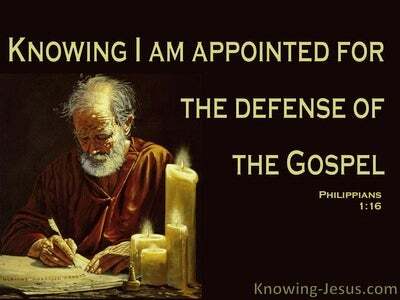 They are to be constantly on guard and diligently watch themselves and their offspring, and they are to teach the Word of God to their children and grandchildren. Older men are to be self-controlled, worthy of respect, sensible, and sound in faith, love, and endurance. 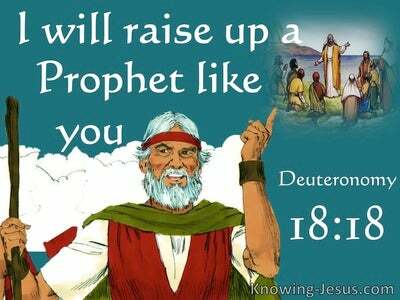 When older men live as God instructed and bring up their children in the way they should go, they are honoured by their children, become the glory of their sons and are blessed with grandchildren - who become their crowing glory. A good man leaves an inheritance to his grandchildren, and the legacy of a godly grandfather should have eternal consequences in the lives of later generations. 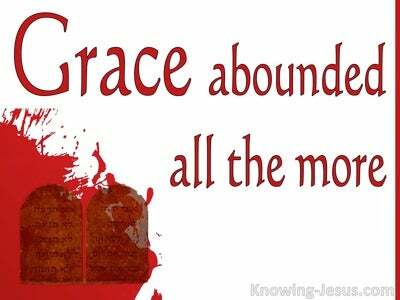 He should instruct his sons and daughters, grandsons and granddaughters in the things of the Lord, so they come to a saving faith in Christ - mature in the faith, grow in grace and in a knowledge of our Lord and Saviour, Jesus Christ. Heavenly Father, thank You for putting us in families and for the roles and responsibilities You ordained within the family unit. We recognise the responsibility on fathers, mothers and grandparents in bringing up their children and grandchildren in the fear of the Lord. Thank You for the godly father, mothers, men and women you have placed in each of our lives and I pray that we may become the godly parents and grandparents you desire in each family unit. We pray Your blessing on the men of our nation - the father and grandfathers of our land, and pray that each one would take the responsibilities of training up their sons and daughters in the way they should go, so that each becomes a crown of glory in their old age and are praised and honoured by their children. 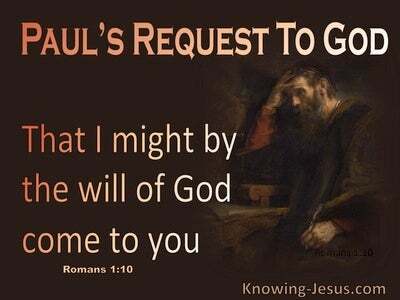 This we ask in Jesus' name, AMEN.